Our traditional Tibetan style Malas have 108 beads, plus 3 marker beads (not to be counted in meditation), and a guru bead and silk tassel. Our malas are strung with contrasting color Nylon thread for its strength and durability, especially important when working with natural stones, as their hard edges can sometimes rub against and weaken other threads such as cotton or silk. All of our malas are hand-knotted between each bead, which protects the beads should the necklace ever break. It also helps alleviate potential damage caused by beads rubbing against each other. 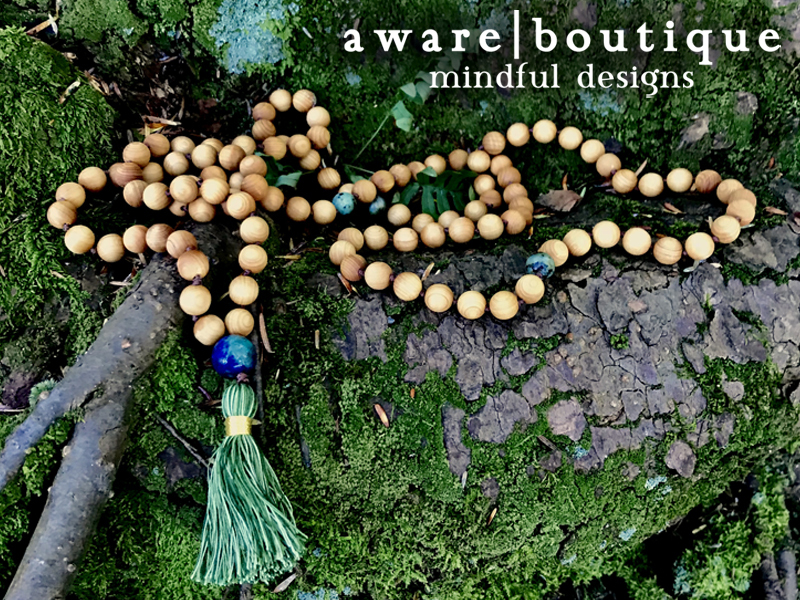 A Pocket Mala is a quarter the size of a traditional 108 Bead Tibetan Mala and contains 27 beads plus 2 marker beads (not to be counted in meditation), and a guru bead and silk tassel. Some people choose to use Pocket Malas as compact travel size meditation malas, while others prefer to place it on the edge of a yoga mat to enhance mindfulness, or simply wear it on their wrist to benefit from the metaphysical properties alone. Please keep in mind that because the thread is not elastic, our Pocket Malas are not adjustable, and therefore may or may not fit your wrist comfortably. Our bracelets follow the same designs as our Malas, but they showcase our beautiful Triratna pattern that features groupings of 3, with marker beads between each set. 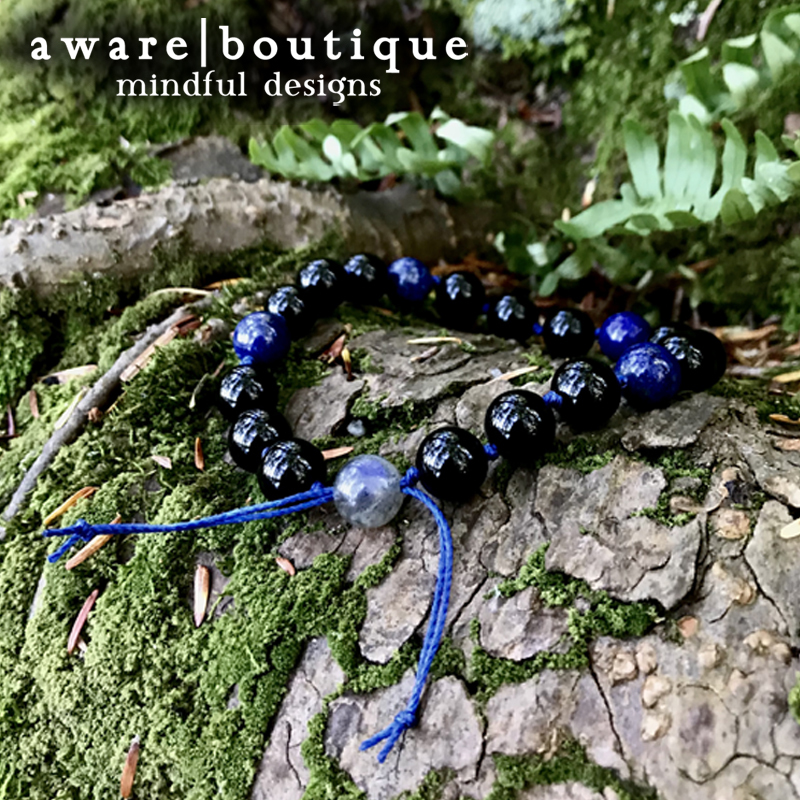 While this bracelet does not contain the sacred 27 beads for easily counting 108 mantras, the number three is sacred in Buddhism as well. The number 3 can be seen to represent the Three Jewels (the Triratna) that make up Buddhism. These are: The Buddha, The Dharma (The body of teachings that describe Buddhist doctrine and belief), and The Sangha (The group of people who follow the Buddha and his teachings).